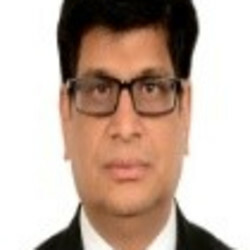 I am an experienced Indian CA ,ACMA and CGMA United Kingdom, with a proven 20+ year’s track record in financial management, corporate accounting, audits and Treasury management. My key skill includes project management, establishing financial controls and procedures, bench marking, fund raising, team building, consolidation of financials as per IFRS, acquisitions and liquidation, auditing and statutory compliance with local UAE and Indian regulations. I am well experienced in the preparation of annual budgets, forecasts, monthly management accounts, analysis of key variances, budget overhead analysis, rolling forecasts, successfully launch rewards and recognition policies for managers, coordinating with banks, insurance companies, internal and external audit, compile policies and procedures, tax and credit management, financial analysis, cost control, operations, foreign exchange and cash management. I am also well conversant with various software like Oracle, Scala, Sage CS3, Tally and have implemented international best practices in CERT, ZADCO, Al Mansoori specialized engineering, Hilong Drill Pipe factory, and Steelco Gujarat Limited. Throughout my career, I have progressed within dealing with various banks with regards to project finance and leading audit firms. I believe my commitment to excellence, my ability to assuming strategic positions and contributing revolutionary concepts to the progress of enterprises. Work hard and lead team towards achieving great results and my proven business skills give me a unique and informed perspective from which I can add significant value to your business and make me a valuable team member.